Have a princess celebrating a birthday? The Pink Slipper welcomes you and your guests, ready with royal maidens to serve your every need at a magical princess party! Your party guests will encounter an enchanting balloon-filled setting of child-sized party tables and tuffets where they can enjoy games, crafts and playing princess dress up. Then let them eat cake! The Pink Slipper royal maidens will serve your choice dessert along with drinks in goblets fit for a princess. Each party guest will leave with a special favor, a balloon and an unforgettable smile. Parties are scheduled on Saturdays or Sundays from 2:00 to 3:30 p.m.
What could be more popular with tween-agers than girlfriends, cool music and pajama parties? Now your birthday girl can have it all in once place -- The Pink Slipper Dance Studio! Tween parties are scheduled on Saturday nights, from 6:00 p.m. to 8:00 p.m. You provide: Favorite movie, cupcakes, and friends in PJs with sleeping bags and pillows. We provide: 6’ X 7’ movie screen, music, dancing instruction, drinks and popcorn, goodie bags, and a hostess and supervision. 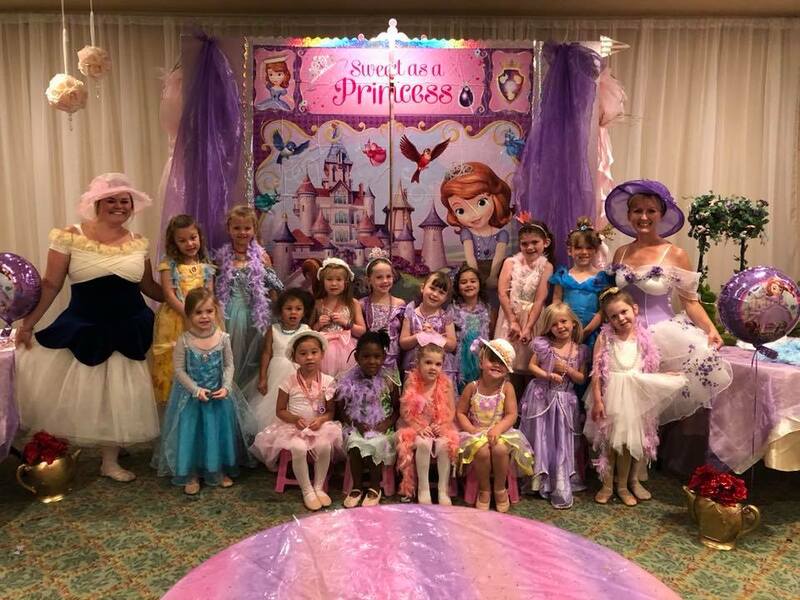 Parties are a minimum of $300*, which includes the birthday princess and up to 14 guests (15 children total). Each guest beyond the fifteenth is an additional $10 charge. A final guest count is required one week before event date. A non-refundable deposit of $25 is required to fully secure a date. The deposit must be made when invitations are ordered. The balance will be charged to the card of your choice after party date. *Pink Slipper Families receive a $75 discount on parties, making the total cost $225.